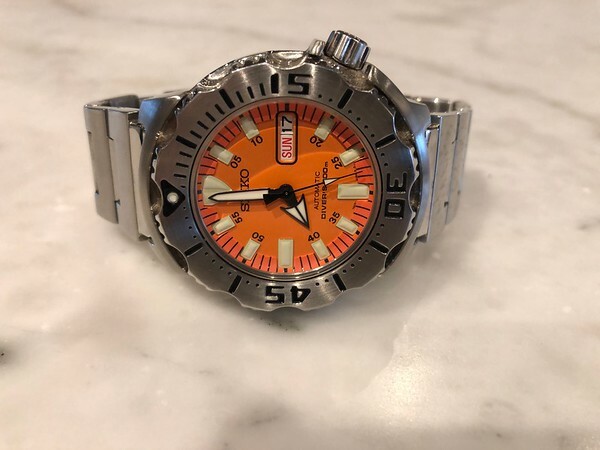 For Sale or trade is my Seiko SKX781 "Orange Monster" from Generation 1. 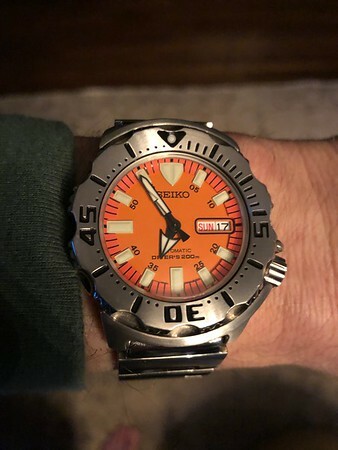 The Gen 1 Orange Monster is the absolute classic in Seiko dive watches generally, and in the Monster line in particular. This is the generation before the dreaded "X" with the minute markers on the dial. 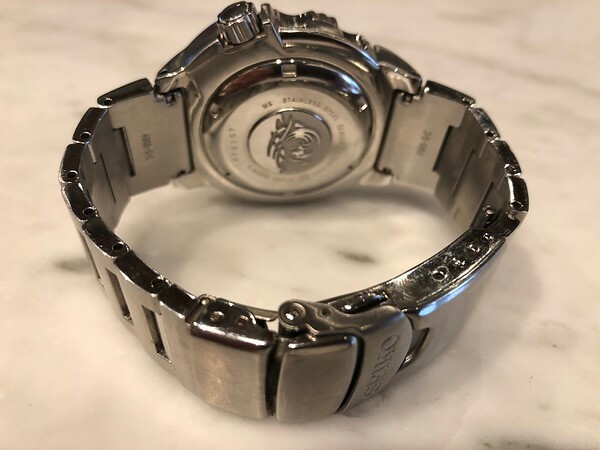 It's powered by the legendary 7s26 automatic movement. No boxes and papers for this one, but otherwise it's in great shape and ready for a generation of hard use. Asking only $390 for this piece. I have many, many references from almost two decades buying and selling on the forums so please ask me anything!